We're getting so kilig these days because of these two! 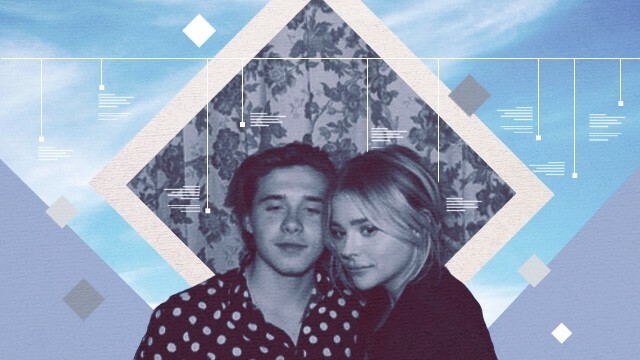 Brooklyn Beckham and Chloe Moretz are surely the teen world's hottest couple of the moment. Since she made the announcement on TV, we just can't stop talking about them and stalking them online! Today, we look back at where all the cuteness has started in this timeline of their relationship. August. Chloe and Brooklyn met at a Soul Cycle class in Brentwood. His parents, David and Victoria, approved of the pair right away. "They cycle next to each other and are very cute. Always look to be cheering each other on with smiles. They also both seem very competitive, but in a fun way," a source told People.com. Chloe revealed this fact about their relationship this year when she was interviewed during the premiere of her movie Bad Neighbors 2. September. After they were spotted together in an Ed Sheeran concert, a fan asked Chloe on Watch What Happens Live if they were a couple. She denied that they were, but said that Brooklyn's a nice guy and that she enjoys spending time with him. Aww! January. The two were seen spending time together in London after a while. April. Chloe and Brooklyn had family dinner with their parents at Soho House in Los Angeles. The young Beckham even shared a cute photo of them together in an elevator after their dinner. She also uploaded a sneaky image of herself making her way to London "to find her prince." Aww! May. The two seem to be comfortable uploading more and more photos of them together and of each other. Just last month, for example, Brooklyn shared this adorable photo of his "bae'. 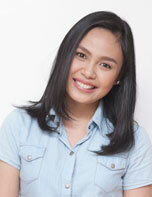 In the same month, the actress confirmed that she is indeed in a relationship with Brooklyn. Hee hee. In another interview, this time with The Talk, Chloe also said that they've been together for a while. "We were always running from people taking pictures of us. And we were like, 'You know what? It's affecting our relationship. We weren't able to go to the restaurants we wanted to go to or just go to a movie. And so we thought, 'You know what? If we're more upfront about it and we break down the iron curtain and we just let them take our photo, they're not going to care," she said. Since Chloe confirmed their relationship on TV, the couple have been posting a lot on social media. They even made things red carpet official when Brooklyn went to the premiere of Neigbors 2: Sorority Rising with the girlfriend. They also went with a couple of friends to Disneyland last month where they were pictured being cute and sweet. Cutest couple, ever! June. Just recently, Brooklyn also talked about Chloe for the first time in his interview with L'Uomo Vogue. He was asked which city he prefers to which he answered, "It's really hard for me to think of which city I prefer. It's 50/50 because my girlfriend is in L.A. and all my friends I met at school, but London is my home, it's where I grew up." Kilig overdose from these two for life!